Salutations! 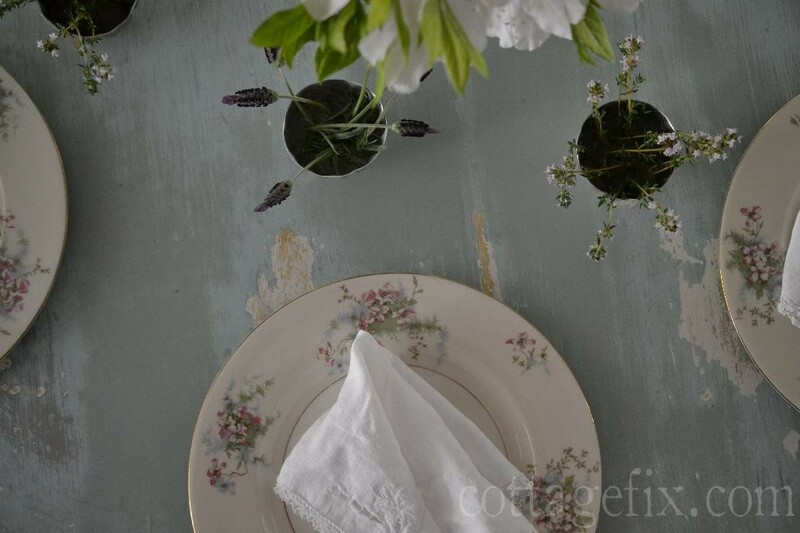 We’re head over heels for spring here at Cottage Fix. 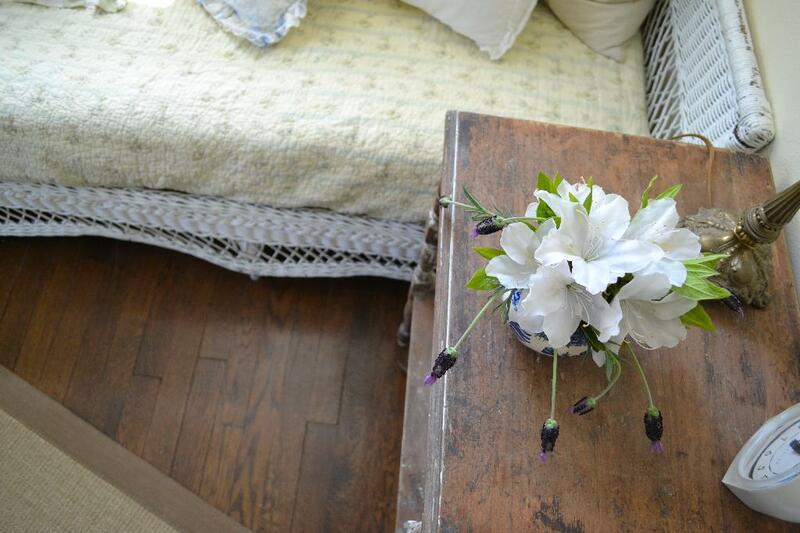 As our garden begins to come back to life I can’t help but bring in a few bouquets to add a touch of cottage romance. 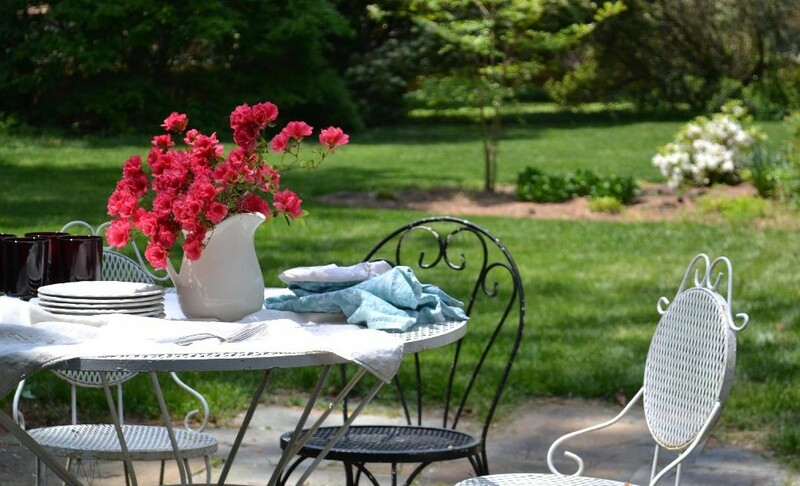 Our azaleas are in full bloom and I’m enjoying this week of beautiful spring weather, dining with the flowers, and just being outside with the grass and the birds. This past weekend, honey and I joined a few friends and we all road our bikes to a local beer festival. I don’t know if I’ve ever seen a happier crowd. Grin. We also took a couple of hikes with Miss Paisley on the nearby trails, and I finally got my tomato plants going. I’m hoping this will be the summer I get to feast on home grown juicy tomatoes from the garden that actually taste sweet. The summer I announce myself queen of the four plant tomato garden. I have to say, my grandparents on both sides used to grow the most beautiful vegetable gardens when I was young—that talent must be in here somewhere. The best spaghetti I’ve ever had was at the beach one year as a kid with both grandmas cooking it up in the kitchen. The sauce was made from tomatoes from their gardens, fresh and sweet. After a long day of boogie boarding in the ocean waves it tasted amazing. 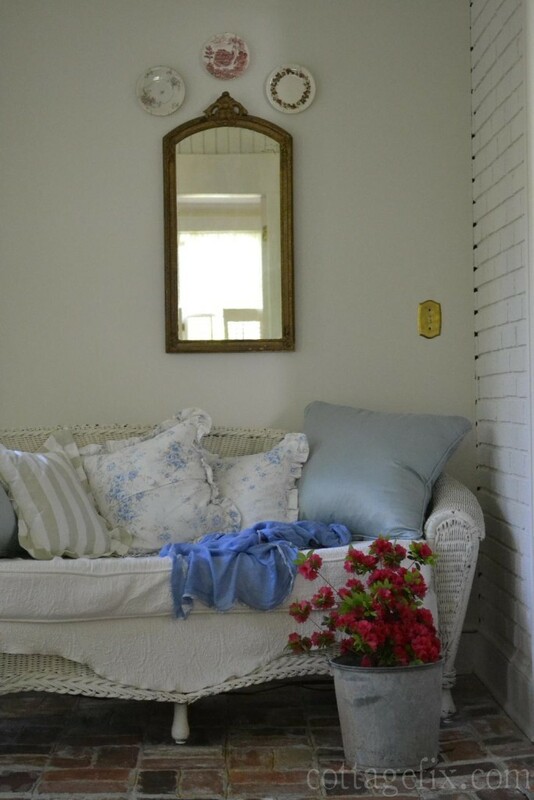 Well the azaleas are in full swing now and I couldn’t help but fill the cottage with the romantic blooms along with some thyme and lavender, which are also both blooming. 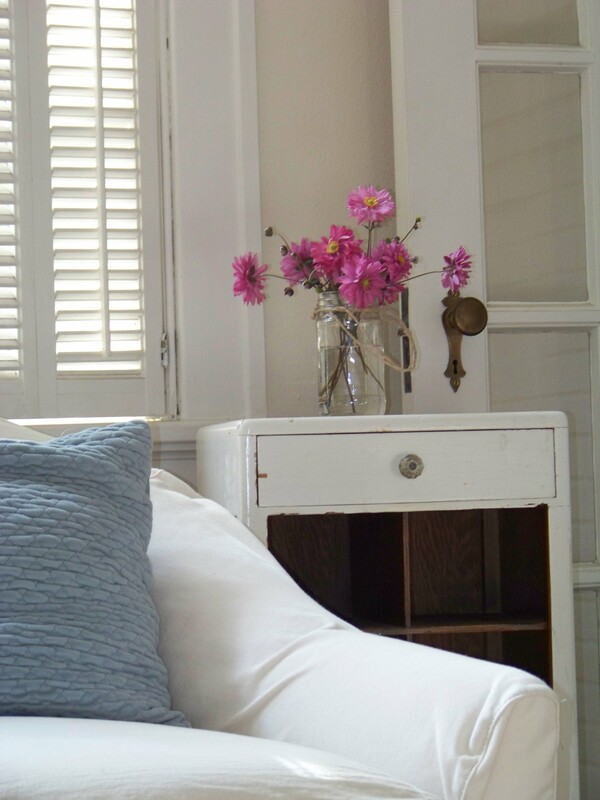 Fresh flowers have the power to really transform a space. I enjoy our shabby little cottage much more when it’s filled with fresh blooms from the garden. 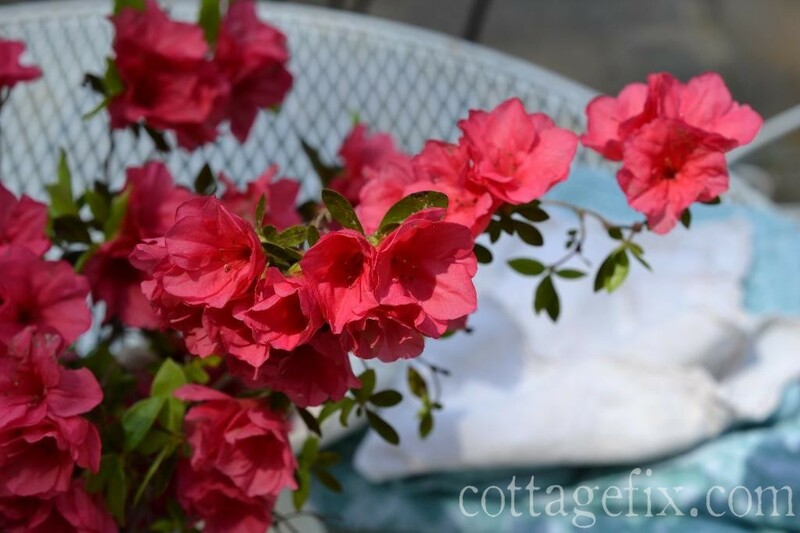 A bucket of reddish pink azaleas are brightening up the sun porch. I’m getting into color lately inspired by the rainbow of blooms coming to life in our garden and all around town. 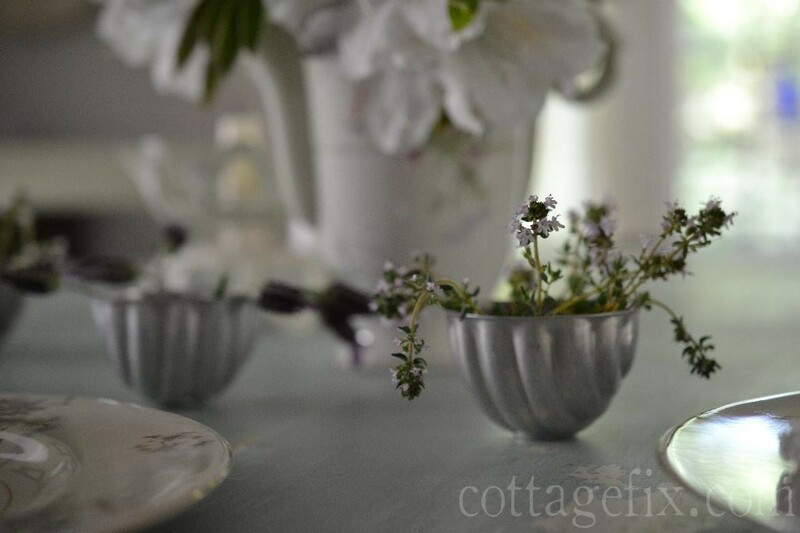 In the dining room I filled these vintage molds with blooming thyme and lavender, they’re tiny and delicate. The azaleas don’t have much scent so I wanted to incorporate some fragrant herbs. Each place setting gets a tiny bouquet. More bright blooms on the patio. I’m dragging the family outdoors for more and more of our meals. I could eat every meal outdoors when it’s so nice out, one of life’s little luxuries for sure. 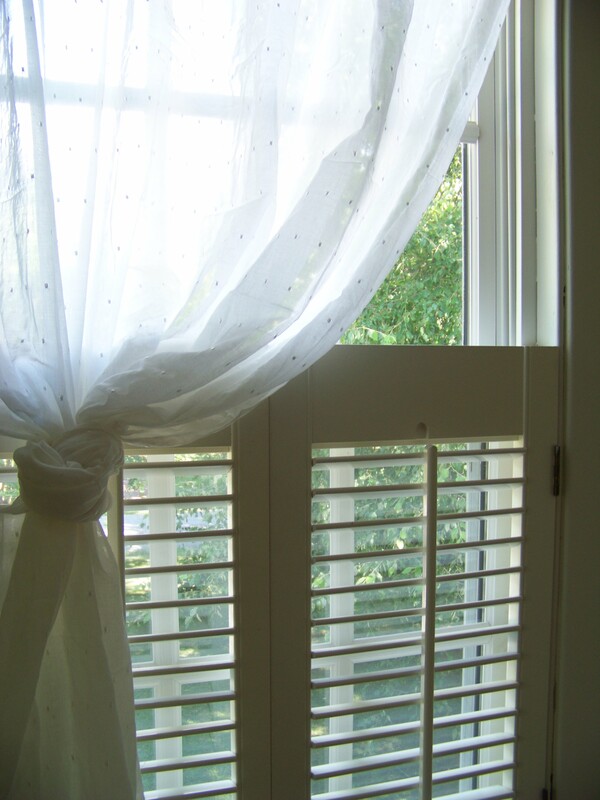 This entry was posted in seasonal decor and tagged color, cottage, decorating, flowers, garden, spring on May 6, 2015 by sally. Is it possible to fall in love with a tabletop? If so, hook me up with your faded blue one! How beautiful! I love all of your fresh flowers brought inside. 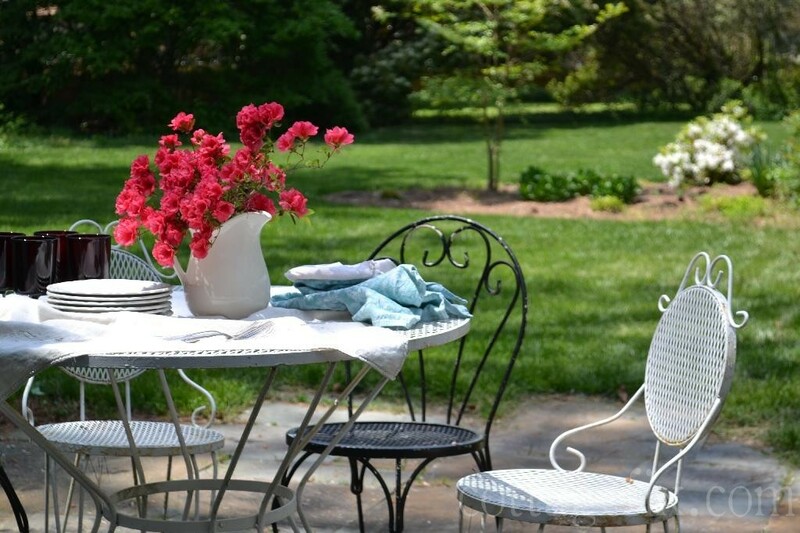 Your outdoor eating area looks so inviting and pretty. You’re right about this time of year being so good to eat outside. Once the summer arrives it can get too hot. 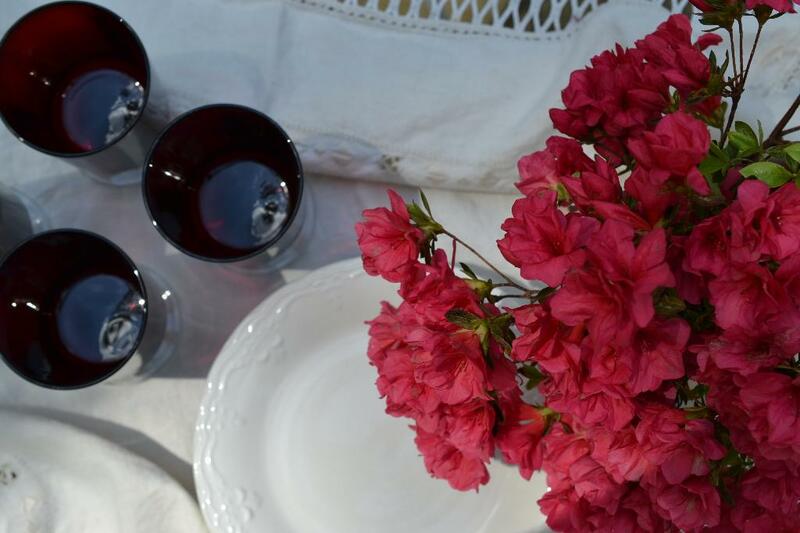 Your incorporation of fresh blooms from your garden is beautiful! 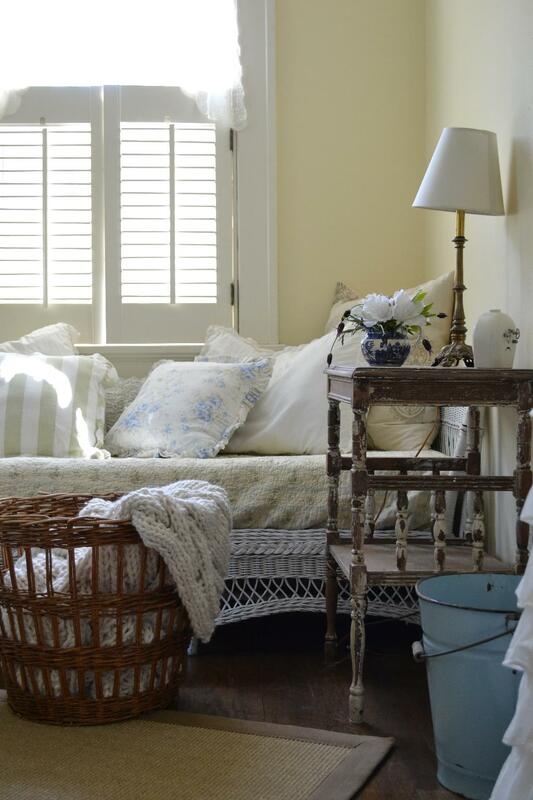 I love that cover you have on the wicker seat reminds me of a light blanket we had like that when my son was a baby. Memories. 🙂 Great pictures. 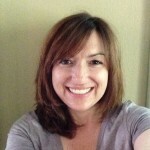 Thanks for the sweet comment Kathy! Your exactly right … the cover is made from a blanket. Your cottage looks so special and lovely with the gorgeous cuttings inside! Love the idea of using those sweet molds as vases on the table.